Bruce Springsteen and the E Street Band have rescheduled their Madison Square Garden concert, postponed Sunday due to a blizzard in New York. 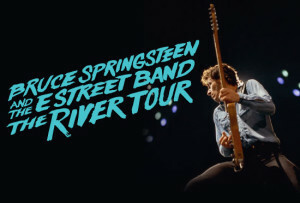 The River Tour also will extend its U.S. run with 14 new shows, and Bruce Springsteen and the E Street Band will play May 19 in Portugal to headline the first night of Rock in Rio Lisboa. The rescheduled Madison Square Garden concert will take place March 28. Tickets for the original date will be honored on the new night. The new U.S. dates will begin with a third and final show at Los Angeles Memorial Sports Arena on March 19. The extended tour will take Springsteen to several West and Midwest markets, including Denver, Dallas and Detroit, wrapping with two shows at Brooklyn’s Barclays Center, April 23 and 25. The River Tour, Springsteen’s first in two years, follows the December release of The Ties That Bind: The River Collection, a boxed set that contains the original The River album, along with outtakes, unreleased songs and a two-hour concert film from 1980. The Ties That Bind: The River Collection is available at Amazon (4CD/3DVD or 4CD/2Blu-ray) and iTunes.